The day was pretty slow. Went for walks. Ate. Napped. People watched. 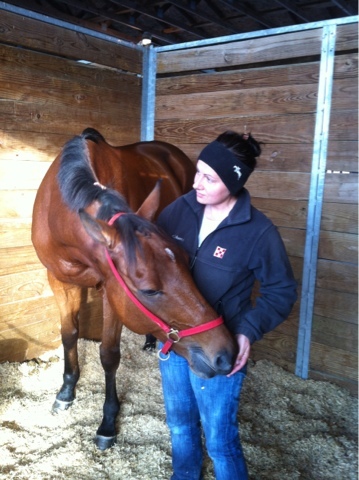 The highlight of today was the hour of so of body work by this lady named Patty Mitchell from Equine Therapy. It didn't start out so great. She poked and prodded me. I was a little offended and pissed at my mom. What was she thinking letting this lady get all in my space. BUT THEN she hooked me up to all these lights and electrodes. It was AMAZING! So great. Made me feel great for my hack later in the evening. Let's hope we see some more of her.